Irlbeck, M., Peled, D., Pretschner, A. We are all increasingly dependent on software systems to run the technology we use every day, so we need these systems to be both reliable and safe. 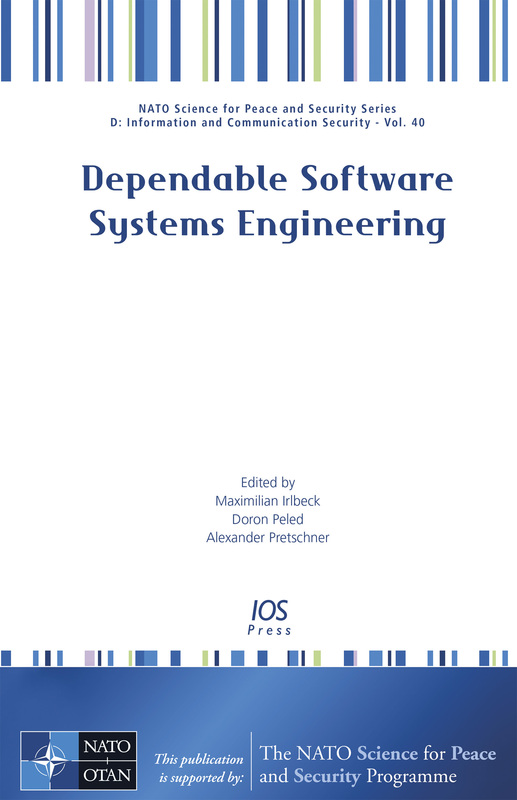 This book presents papers from the NATO Advanced Study Institute Summer School Dependable Software Systems Engineering, held in Marktoberdorf, Germany, in July and August 2014. Lecturers were drawn from prestigious research groups representing both industry and academia, and the course was designed as an in-depth presentation and teaching of state-of-the-art scientific techniques and methods covering research and industrial practice as well as scientific principles. Topics covered included: syntax-guided synthesis; system behaviors and problem frames; dependable human-intensive systems; automatic alias analysis and frame inference; fault-based testing; and mechanized unifying theories of programming. Marktoberdorf is one of the most renowned international computer science summer schools, and this book, with its detailed overview of current research results and the discussion and development of new ideas will be of interest to all those whose work involves the engineering of dependable software systems.